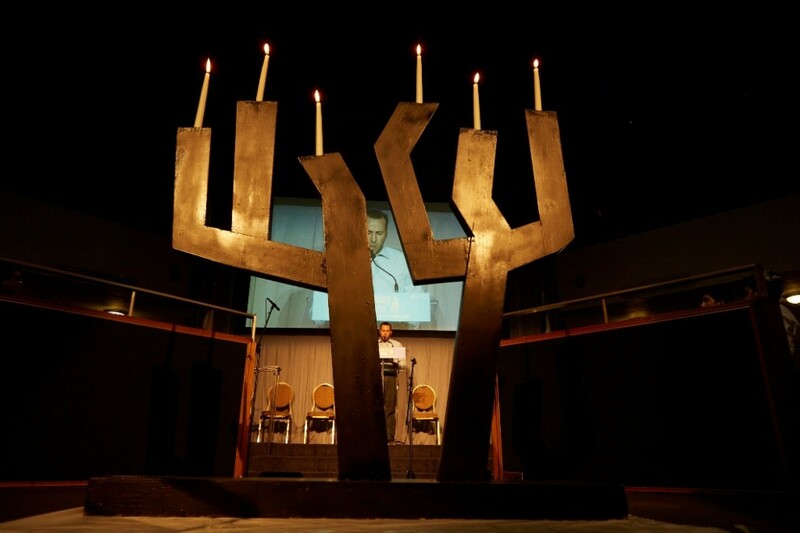 Yom Hashoah V’Hagvurah (Holocaust Remembrance Day) is designated by the State of Israel on the Hebrew date of 27 Nisan, which begins on the evening of May 1 and continues through the day of May 2. The entire community is invited to join together in our annual memorial (yizkor) service. The 2019 program will commemorate the Shoah through film, music, and readings from the Megillat HaShoah (the Shoah Scroll) and will feature participation from Holocaust survivors and descendants, community members, leaders, and students. A performance from the Grammy-nominated Canadian-made album, "Yiddish Glory: The Lost Songs of World War II" will also be presented. Please note: Mincha services precede the program at 6:45 PM; Maariv services to follow (approx 8:30 PM).